Discover the Philippines in style. Why not choose from a good list of Philippines hotels from Lets Book Hotel? Good rates for a holiday to remember. visit Coffee, Cream and a Tumbler! HIGHLY RECOMMENDED! 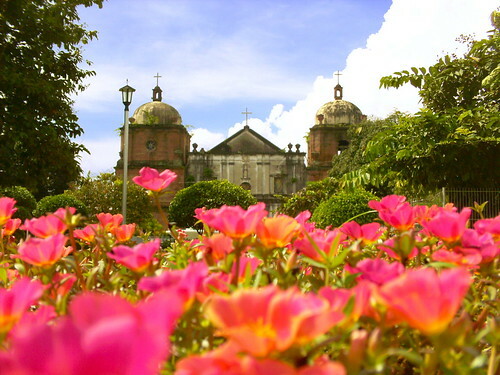 Iloilo's collection of historical tourist destinations makes the province a 'Heritage Haven' breathing a Spanish colonial allure that is amongst the most intact in the country. WELCOME to Iloilo, A Province that dances with the rhythm of the past and the promise of the future. HALA BIRA!!! A leather briefcase is a classy and distinguished way to set yourself apart from other men. People notice the small things; a briefcase will subtly tell everyone around you that you are someone who is not to be taken lightly. Briefcases are perfect for hauling around important documents and electronic equipment; the sturdiness and durability of the leather provides a layer of protection for everything you put inside of it. People love the fact that briefcases can carry so much stuff without looking like a backpack or bag; they truly are a distinguished carrying case. When you pick up a briefcase, always make sure to use a reputable site like http://www.ghurka.com. Stores like this have a variety of choices for you to choose from; they have specific briefcases to meet all of your needs. Try to find a briefcase with enough compartments; they can help you organize and access all of your important stuff. Most modern briefcases have a compartment for your electronics. If you can't live without your cell phone, get a briefcase with a cell phone compartment; your phone stays safe and protected. A water-resistant briefcase ensures that everything inside of it stays protected from rain and snow. People who use fine leather briefcases men for electronics often choose soft leather. Soft leather is lightweight and stylish; these easy to carry briefcases take the hassle out of lugging your laptop around town. When you choose to carry a briefcase, you choose a convenient and stylish way to carry important stuff. People notice distinguished gentlemen; a briefcase goes a long way towards getting you the respect and admiration that you deserve. I have been in the island-province of Guimaras so many times before but I never really got tired of its rustic charm that can make you forget the trivial problems of the modern world. Thing is, the island itself is a tapestry of nature at its finest that every corner seems to have been created by God with a spell of charm and a sprinkle of enchantment. 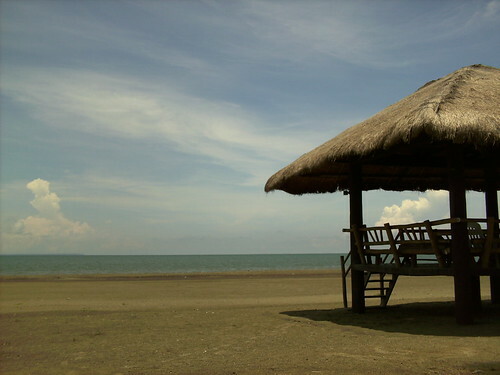 It might not be Palawan or Boracay but it is one of the most convenient beach destinations there is in the region since it's just a boat ride away from Iloilo City, which is one of the most important gateway cities in the Philippines. Most of us have heard of Alubihod, Guisi and El Retiro beaches which are amongst the popular tourist destinations in Gumaras but there are also a few places which are also worth visiting. For instance, one of my favorite resorts which lies in a hidden cove somewhere in the island is 'Isla Naburot'. This beautiful family owned resort is only accessible by motorboat and prides itself for being a real island hideaway. The island is mainly solar powered but still provides basic amenities that every tourist would be needing. It's discreet location is perfect for intimate occasions and for vacation goers who wish to escape the hustle and bustle their city lives. One of the features of Isla Naburot which has enchanted is the ruins of an old ancestral house that lies on top of a huge rock overlooking the sea. It stands as a welcome sign that tells everyone that they have indeed reached the resort. Though abandoned, the house seems to be carrying an flair of enchantment and memories of colorful past. The downhill path from the house leads to the very cove where most of the main buildings and cottages are located. 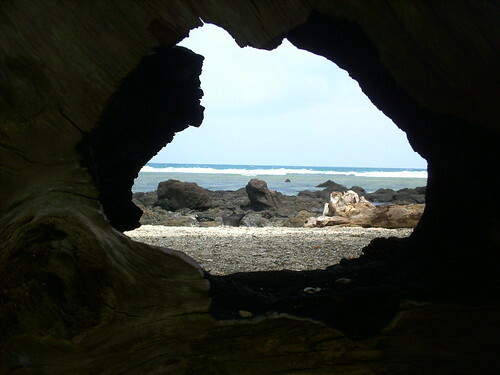 There is also a small white sand beach that lies before a coral reef diving spot. Food and lodging may not be as cheap as the other more popular resorts but it's totally worth it. See, it's not the ordinary beach you see anywhere. There's just something a little special about it and that's what makes Isla Naburot a must-see when you're in Guimaras. They say that a cup of warm coffee in the morning can liven you up for the entire day and a dose of caffeine in the afternoon can take away all the stress that's tiring you out. No matter which time of the day you prefer to have a cup of espresso or macchiato, it's always perfect when you're in a relaxing place where there's nothing else to stir you senses but the smell of brewed coffee and the sweet taste of chocolate cakes. Bluejay Cofee is an established cafe that has been quite popular to coffee enthusiasts for the past few years. 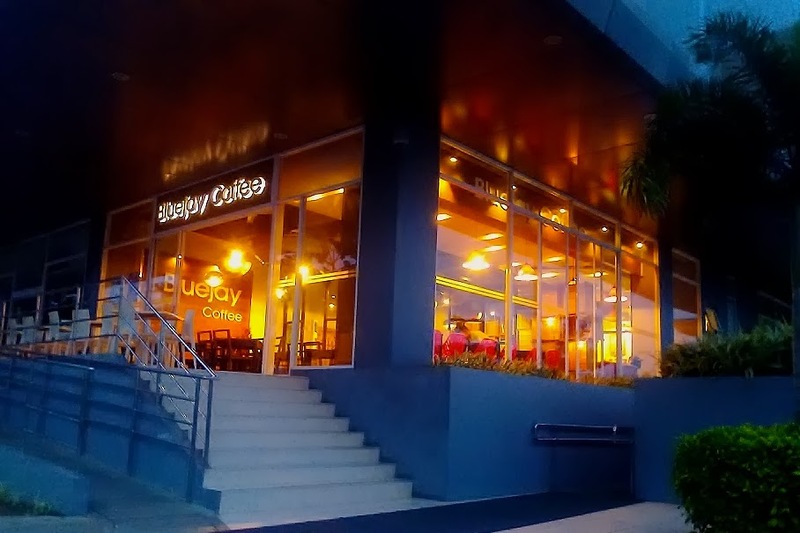 It is not only known for its delicious blends of coffees but its menu offers a variety of delicacies from sweets to pizzas, pastas, steaks and sausages and other meals making it not only a good place to unwind but a haven for food lovers as well. It is both classy and down-to-earth which makes it very 'Ilonggo' in every sense. There are two branches that can be found in premier locations in the city. The Iznart branch at Amigo Mall and the Ayala Technohub Branch at Smallville. One thing I love about BlueJay is the ambiance of their cafes. Being an artist myself, the use of contemporary art is something that takes me to a different world, perhaps a different era. It is both relaxing and soulspriring which makes it a perfect hideaway from the city's hustle and bustle. 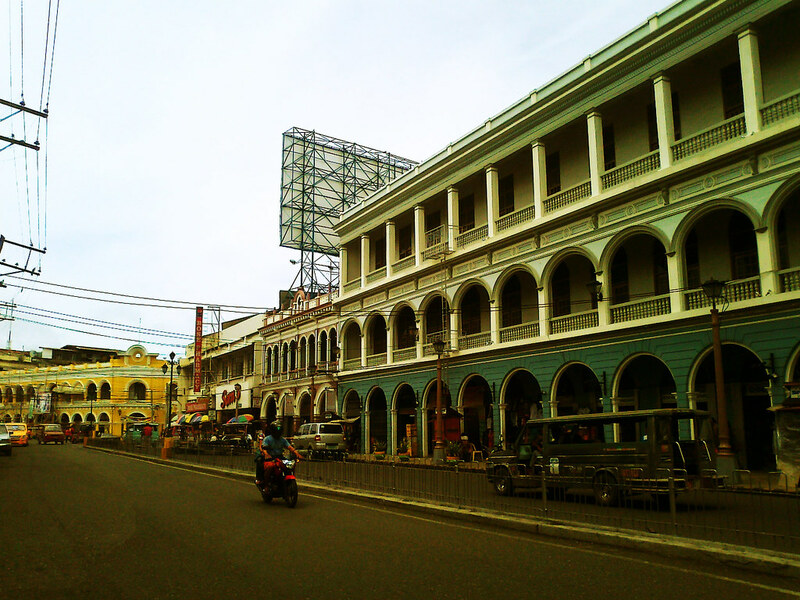 In the olden days, before malls and other shopping centres were established in the city of Iloilo, there thrived Calle Real, what is now known as the downtown heritage street. Being strategically located in an area adjacent to one of the country's most busiest waterfronts, Calle Real became one of the most important trading communities in the region. In fact, the National Hero, Dr. Jose Rizal had once admired the life that bloomed in these streets during the late colonial reign. Who wouldn't? It's beautiful old world charm eludes a classic atmosphere quite similar with that of Macau's Portuguese district. In fact it is only in this certain part of the city where one can find the most intact collection of Heritage Buildings in the entire province. Though modernization has taken its toll on these beautiful treasures, many organizations had been working hand and hand with government to revive what was once the glory of the old Queen City. Today, tourists and locals alike will appreciate the efforts of those who had worked hard in restoring the beautiful buildings of Calle Real. Now, what had been a forgotten piece of the city is slowly taking in a new breath of life and though the street is still as busy as it had been, one will truly feel that once a upon a time, there was a strange and beautiful world that existed in this very place and that it was more magical than anyone of us could ever imagine. It's never difficult to find a good place to stay whenever you're in Iloilo. Being one of the tourism gateways of the country, Iloilo itself has become a major travel destination in the Philippines for the past few years thus bring thousands and thousands of local and foreign tourists every year. This is one reason why Iloilo's Hotel and Real Estate industry grew and flourished. Amongst the most popular hotel and resort destinations in Iloilo is Punta Villa, which is located in Arevalo District. It is strategically located near the Villa beach where you can find the famous sea side restaurants Tatoy's and Breakthrough . The resort not only comes with a beautiful neoclassic colonial hotel but it also has large swimming pool for adults and a kiddie pool equipped with slides for children. The restaurant also serves good food and the best part is that it's not even very expensive. It is a popular place for wedding receptions, conventions and basically any other celebration there is to name. The rooms at hotel are also cozy and will definitely make you feel at home. From family rooms to presidential suites, Punta Villa has it all complete with all the necessary amenities that'll make your stay as comfortable as possible. My favorite part of Punta Villa is the Gloria Maris Garden which is an outdoor reception area for weddings. Like most buildings in the resort, that garden, complete with a gazebo has a touch of Spanish and Filipino Architecture thus showcasing colonial art which Iloilo is fanous for. Just on the other side of the Jaro river lies one of Iloilo's most popular academies, the Angelicum School. 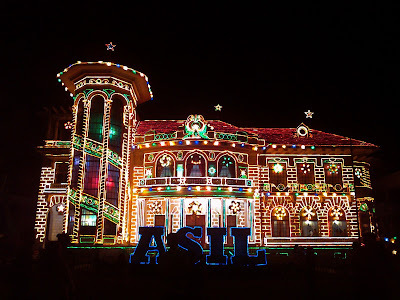 Not only that it is famous for being one of the best Christian schools in the city but it is also known to be the home of what was once the villa of a rich baron, the Lizares Mansion. 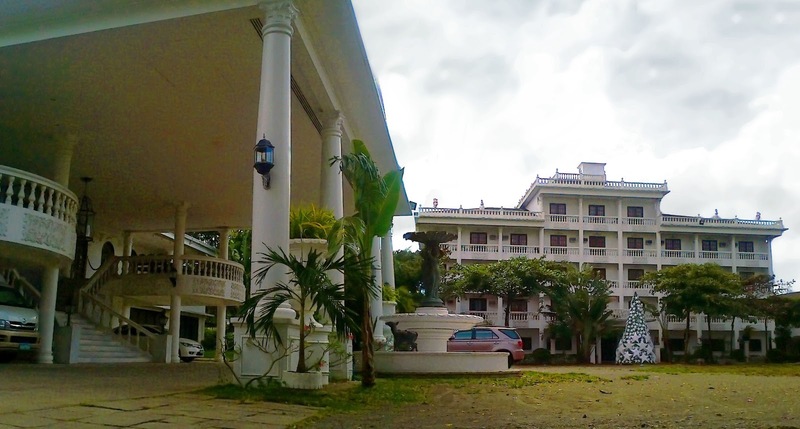 The villa is indeed amongst the most beautiful tourist attractions in the city specifically, in the district of Jaro which is basically known for its collection of sprawling century old mansions. It is not only in an icon of the beauty of the European rule but in some way it also symbolizes a certain part of the Ilonggo history. The villa was the home of a rich sugar baron and his family. 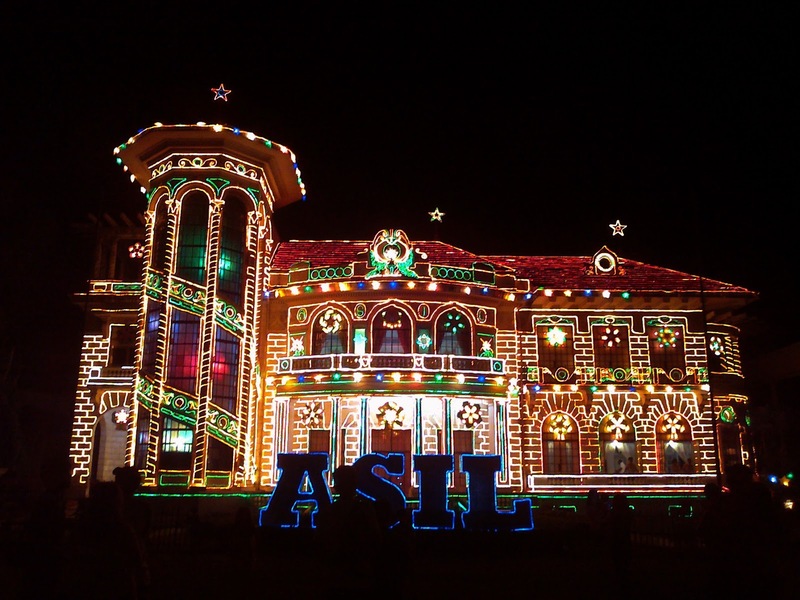 It was considered one of the most beautiful mansions in the city of Iloilo and at par with the famous Nelly Garden Mansion, the White House at the South. What a lot of people do not know is that the mansion had suffered the wrath of the second world war. 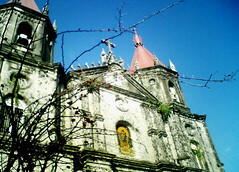 Its iconic beauty had faded and its beautiful history was stained with blood and death. However, not too many years after the war, the mansion was transformed into what is now the Angelicum School. Those who had taken over the property has not failed to restore its old charm and antiquity. Nowadays, the mansion is a popular Christmas attraction mainly because its beautifully crafted exterior is decorated with stunning Christmas lights and lanterns. If you are hoping to grab yourself some winter sun in the latter part of 2012 or the early months of next year then a cruise holiday should be high on your list of options. You can set sail in serious style on ships like the Liberty Of The Seas, which is part of Royal Caribbean's Freedom Class of vessels and is among the most popular ships currently out on the open waves. The reasons why the Liberty is so highly regarded are simple enough, it is essentially down to the array of activity and dinning options, the quality of the accommodation and the atmosphere on-board. All of which are excellent and the particularly great news is that there are dozens of cut-price packages available right now and very reasonable prices offered all year round. There are any number of destinations around the world that holidaymakers can travel to in the winter months in order to soak up some sun. But taking a cruise always means that guests can combine wonderful weather with the chance to see a variety of different areas of the world in an environment purpose-built to deliver unrivaled levels of comfort and relaxation. Looking specifically at what the Liberty of the Seas has to offer, anyone lucky enough to book a stay on-board can expect access to virtually everything that is good about cruise ships and the very best of Royal Caribbean style. So if you love nothing more than to take in a show in the early evening or you are more of an energetic activities kind of person then you are bound to be impressed by the Liberty. The ship as a whole was refurbished not so long ago and it is very close to the cutting edge of what cruise ships are all about these days. So there's every chance that the Liberty will deliver that holiday of a lifetime experience you've been after but at the very least in the coming months you'll be able to soak up plenty of winter sun. Need of a perfect place to stay while in Iloilo ? Discover the best hotels in the province with Hotels Combined to make your vacation in Iloilo one unforgettable experience. 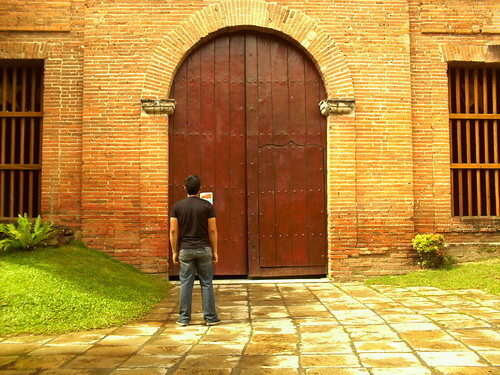 Do you want Iloilo to visit you Instead? then, Subscribe to ILOILO ONFOOT or simply give this blog a link! If you want your blog to be on my list, just click Blog Roll and leave me a comment and I'll definitely link you up. Just don't forget to link me up as well! 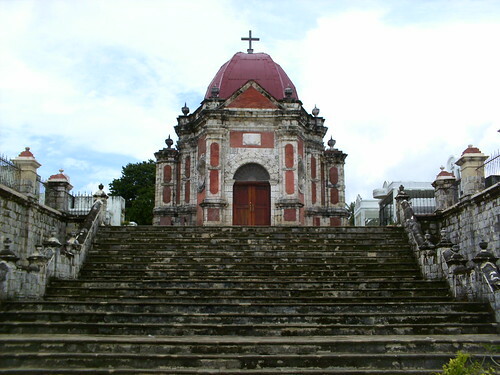 What Makes Iloilo A Unique Tourist Destination? 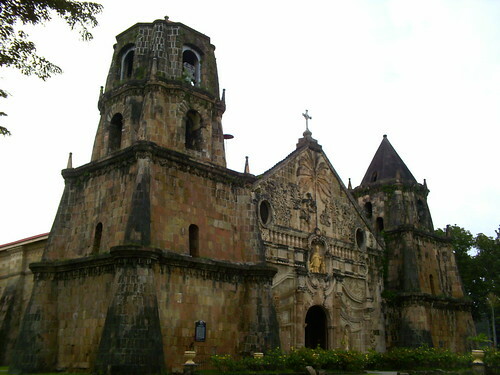 Iloilo isn't just any ordinary province, it's more than your usual tourist destination. Historical sites, fine beaches, breathtaking highlands... Discover the beauty of our rich Province...Discover History, Culture and Life; Discover Paradise... 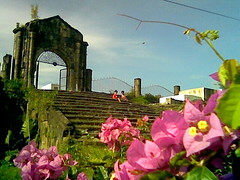 Discover Iloilo.